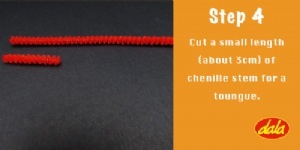 At one end of the chenille stem(s), tightly coil the stem in on itself until you have a spiral the size of a 20c coin. 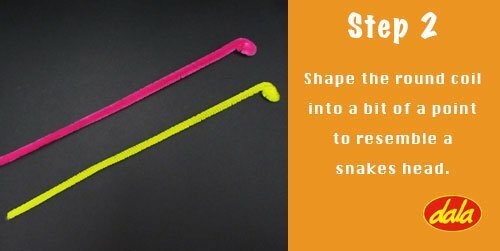 This is going to form your snake(s) head. Between your thumb and index finger, pinch the spiral to shape it into a pint to form your snakes face shape. 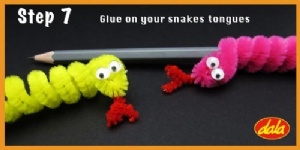 Squeeze two blobs of glue out in place where you choose to stick the googley eyes. Wait about 10 minutes for this to be dry. 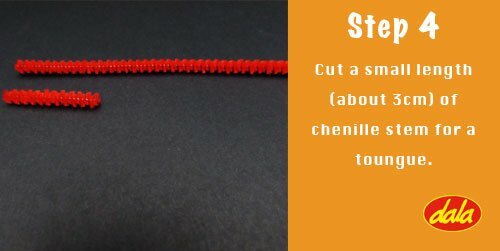 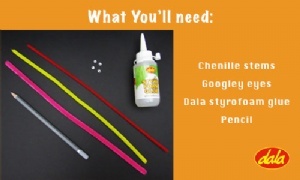 Cut a small length off of your spare chenille stem (about 3cm). 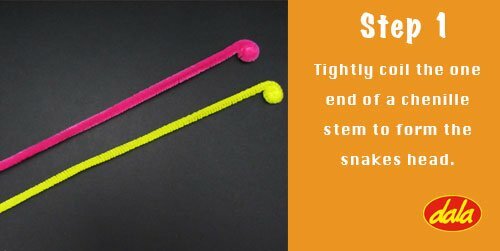 This is going to form the snakes tongue. 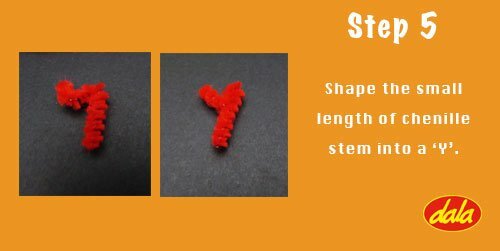 Fold the small length of chenille stem into a 'Y' shape. 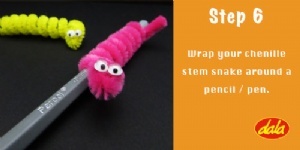 Wrap your chenille stem snake(s) around a pen / pencil, leaving a small length at the end for the tail. Stretch the snakes body to the length along the pencil that suits you. You can have them running the length of the pencil, or perched just at the top. Glue the tongue onto your snake(s) while on the pen / pencil and wait about 10 minutes for this to dry. 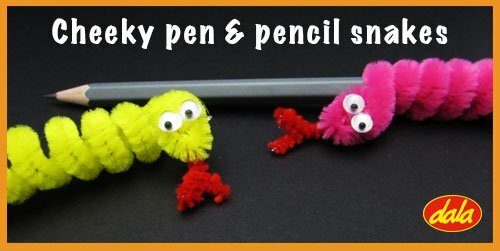 Your cheeky pen / pencil snake is ready! 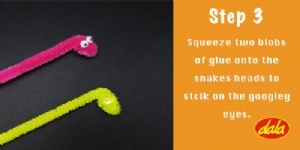 This item has 877 views.